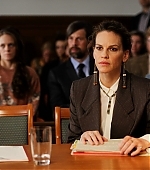 Information about Hilary Swank Fan. Learn more about the webmaster of the site. Link back to the site and make us happy! Contact the staff members with questions or contributions. Our list of affiliated friends. The frequently asked questions with answers from us. Our thanks to all the people who has helped us. Links to other Hilary fansites and related sites. View the awards we recieved during the years online. See the previous looks the site has had.